This is a popular walking festival which is firmly established on the walker’s map. Five days of walking fun on a fantastic walks programme that has walks to suit all abilities and are led by experienced walk leaders who either live or work in the area. The Lower Wye Valley is a designated Area of Outstanding Natural Beauty with a rich heritage and has such a lot to offer the walker with its variety of landscape. The area is beautiful at any time of the year but particularly so in Spring when the bluebells are in full bloom and there is no better introduction to the Lower Wye landscape and heritage than to join one of the many walks on offer. Chepstow is an accredited ‘Walkers are Welcome’ town which aims to provide the best possible walking experience. The full programme will be online during February 2019 which will give details and information on how to book your place or get in contact. This year the spring festival is offering a wide choice of 40 themed and guided walks, including a handful of wildlife sea safaris, across 10 days and nine islands. New walks for this year include an energetic hike around the coastline of St. Martin’s, to complement the coastal circumnavigation of St. Mary’s, which also returns this year. There’s a new Shearwater and seabird walk to Shipman Head and an island forage on Tresco to complement the seaweed forage on Bryher whilst a new Treasure beach walk has also been introduced, coupled with a workshop to create some fun craft projects with your flotsam and jetsam finds. 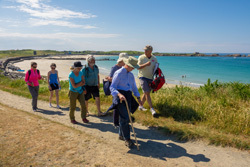 There’s no better way to explore the islands’ amazing scenery, wildlife and cultural heritage than Walk Scilly’s rambles, hikes and strolls, with expert local guides bringing the treasures and hidden gems of each island to life. The islands of Islay and Jura have something to offer everyone. Whether it’s our famous whisky, spectacular wildlife, peace and tranquillity, music, beaches or heritage. You are certain to find something special that may entice you back again. The walking festival on Islay lets you explore the natural beauty of places such as Killinallen with its white sands at Killinallan Point and views across turquoise waters to Mull, Colonsay and Skye's Cuillin's. There are also two RSBC nature reserves at Loch Gruinart and Oa, and the Three Distilleries Pathway. All of these can be enjoyed on the choice of ten festival walks. The 2019 walks programme will be published at the end of January. This is an intimate event run by local people that has grown in popularity over the years. The organisers welcome new and returning walkers who take pleasure in this beautiful part of north Cornwall. From the very best of Britain’s coastline to wonderful walks amid woods and streams, it’s all on offer during Boscastle’s increasingly popular Walking Week. Usually there are 12 exciting walks planned, plus social events. Further information should be available by November. Following the success of their first Spring Weekend last year the organizers are once again inviting all keen walkers to come along for another weekend of spectacular walking with sublime views, welcoming pubs, good food, and the great company of fellow walkers. Kington sits on the border between the green and pleasant land of Herefordshire, famous for apples, beef and beer, and the wild and beautiful uplands of Wales. It makes it the perfect base for everyone interested in walking, from strenuous hill walking to leisurely strolls along gentle river valleys. More long-distance paths converge on Kington than almost anywhere else in the UK. This Spring the festival is helping to celebrate one of those long distance paths and the 50th anniversary of the Offa's Dyke Association. Galashiels is a small town in the centre of the scenic Scottish Borders. It can be reached by train from Edinburgh Waverley or bus from Edinburgh or Carlisle. This is a small local festival but the organisers will welcome anyone who would like to explore this area in the company of knowledgeable local walkers. Last year the nine walks included: Walk around Gala Policies and around the side of Gala Hill to the Roger Quin Stone; Evening Walk, Gala Water Tweed and Southern Upland Way; Tweedbank and Abbotsford; St Mary's Loch Circular (The Ring of the Loch); Southern Upland Way Traquair Kirk to Tibbie Shiels; Ladhope and Heatheryett; Buckholm Tower and Dobby`s Grave; Clovenfords to Galashiels via Torwoodlee and Meigle; Southern Upland Way - Traquair to Galashiels. This year is the 20th anniversary of the Ulverston Walking Festival and what better place to spend a few days exploring the southern fringes of the outstandingly beautiful Lake District and not far from Morecambe Bay with its sandy beaches and abundant wildlife. There will be the usual great selection of walks to suit all abilities which will allow you to experience the best of this beautiful area. We expect many of the walks will be the same or similar to last year’s programme, possibly with some new additions and a theme around the number 20. Details of the 2019 walks will be available during February. Fees for the walks will again be at an amazingly low cost because the organisers do it for fun and just want to cover their costs. Haltwhistle lies between the most spectacular section of Hadrian's Wall in the Northumberland National Park and the North Pennines AONB. The beautiful South Tyne valley runs southwards up into the hills. The Haltwhistle Spring Walking Festival is a well-established event which gets booked up very quickly. This will be their 32nd walking festival and as usual the organisers will put together an excellent programme offering a wide variety of walks in this lovely area. In previous years there has been a longer and a shorter walk each day plus Special Interest walks on some days. Details of the walks for 2019 shoud be available by second week of January. Join the Isle of Wight Walking Festival 2019 and take part in one of the UK’s longest running walking festivals. Discover unique routes with experienced local walkers and enjoy an extensive walks programme that includes walks across, over and around the Island. There will be around 100 walks for you to choose from across this two-week period, from short to long, flat to hilly, beaches to forests and everything in between with over 50% of walks being new this year. With local and visiting walkers of all ages and abilities setting off on trails across the Island’s picturesque landscape. Walkers will get up close and personal with the best of the Island's stunning scenery, as they journey from the beautiful chalky cliffs of the west coast to the lush green rolling hills of the east. The Isle of Wight is often referred to as ‘England in Miniature’, so in just one day of walking you’ll be able to see the very best of the English countryside from sand dunes and pebbly coves to thatched villages and bustling sailing towns. 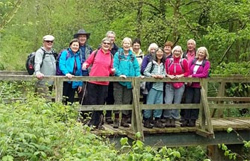 There will be a warm welcome from Mole Valley Ramblers who are organising ten days of mainly led walks for anyone who wants to have fun, meet new people, exercise for healthy living and enjoy the lovely Surrey countryside. Whether you’re a regular walker or an outdoor enthusiast, there will be the opportunity to selection from 30 walks to suit your taste: ranging between 3to14 miles, including shorter walks in conjunction with Mole Valley District Council Walking for Health. For those with youngsters who would like to try walking with a group for the first time there will be a family Treasure Hunt style walk day with a selection of walks for all ages, led by experienced Mole Valley walk leaders. All-day walks will include Pub and/or Picnic lunch breaks. ride2stride is a festival of walks, talks and music along the fabulous Settle-Carlisle railway line. It's a week-long celebration of the wonderful landscape and culture of the western Dales and Eden Valley. The festival is made up of lots of events and activities and things will be happening along the length of the line. Walks will be led from stations by experienced walk leaders. Speakers will share their local knowledge and love of the area, and the pubs will be buzzing with music and song. Alton Town Council has been hosting a Walking Festival since 2013, which has grown year on year as demand and interest has increased. In 2018 a month long event is being planned to offer an ever greater range of walks. They look forward to welcoming you to a range of guided walks that will give you the chance to explore the town and the beautiful surrounding countryside. This will be the seventh year the festival has been held. Close to Brecon, Crickhowell and Hay-on-Wye, Talgarth is an ideal base for visitors wishing to explore the Brecon Beacons National Park on foot, whether it’s the high peaks or the lush green valleys of the Wye and the Usk which capture the imagination. Talgarth is a ‘Walkers are Welcome’ town and is known as the Gateway to the Black Mountains. On offer will be a great range of 35 walks from high level strenuous hikes to gentler strolls all taking in the glorious mountain scenery. This is a new festival for 2018 which is a heritage lottery funded project intended to encourage people to access the beautiful Kent Downs. The festival will offer a mix of guided and self-guided walks. The event website given below currently just has self-guided walks listed, but will soon have more events as the organisers get partners on board. The festival area sits within Kent’s Garden of England and extends from Kemsing Down up to Cobham and across to Detling Hill and covers approximately 10,000 hectares in total. The area includes chalk hills which are the remains of the rim of the Wealden anticline which were created 65 million years ago. The landform is dominated by the North Downs escarpment and encompasses long dry valleys which extend along the dip slope to meet the River Medway, responsible for the deep trenches through the chalk hills. Walking in North Wales doesn't get much better than Llangollen, a beautiful Victorian Welsh border town with so much to offer the casual and the keen walker. 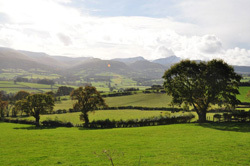 The organisers warmly invite you to explore the town and landscape in the company of friendly local and professional guides who will share with you their knowledge of local history, heritage and folk tales whilst you walk through some of the most spectacular and mystical landscape in North Wales. Previous events included a short leisurely history walk each day in the company of a Green Badge guide in this UNESCO World Heritage Site. A ride on a heritage steam train for a nostalgic ride followed by a scenic valley meander or a high level wilderness walk. A visit to a romantic medieval castle and abbey ruins plus stunning cliff walks for big views and moor. Previous events have included an 8-mile steam-train walk taking in the Telford Steam Railway; a 4-mile walk that looks at Ironbridge through the eyes of tourists over the past 200 years; family walks and a 4.5-mile walk, encompassing a photo trail around the local woodland. Bingley ‘Walkers Are Welcome’ are very pleased to announce their third one day Walking Festival to be held on May Bank Holiday Monday. In previous years there were five walks on offer, all starting from the Market Square but at different times. The walk themes were: Bingley/Saltaire Walk, Long Walk, Mystery History Walk, Micklethwaite Walk, Family Walk. This year will probably be a similar format. Bingley is a Market Town located north of Bradford in Yorkshire in the beautiful Airedale Valley. The surrounding villages of Cottingley, Crossflatts, Eldwick, Gilstead and Micklethwaite are also part of Bingley Town Council. The area is crossed by both the River Aire and the Leeds & Liverpool Canal. This event will be the third Kendal walking festival. Explore this wonderful town with its roots embedded so deeply in the landscape that surrounds it. There will be 13 guided walks on offer in the idyllic Lakeland countryside and historic Kendal. In the evenings speakers will be providing additional interesting events. Full details are now available. The Chesterfield Walking Festival is a well-established annual event with a wide range of walks exploring the Chesterfield area. Most walks are free and are led by a fully trained guide who knows the history, wildlife and the best countryside to walk through (as well as the best pubs to visit) in the beautiful Chesterfield landscape. Walks in previous events included a magical fairy trail at Creswell Crags, combining a walk with a boat trip along the Chesterfield Canal; the Chesterfield-Round Walk, a 34-mile trek through the countryside that surrounds the town, and the ‘Beast of Bolsover’, a 20-mile circular hike. There were also many less strenuous walks such as evening strolls of 5 or 6 miles, a short walk around the town or a family ramble of 2 or 3 miles. We expect a similarly enjoyable programme to be planned for 2019, although details may not be available until later in January. 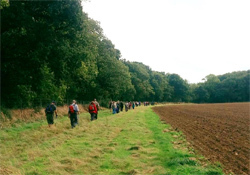 Now in its 12th year, the Suffolk Walking festival has established itself as one of Britain’s premier walking festivals with over 120 walks and events across the county. The 2019 festival is going to be the most creative, imaginative and ambitious one to date. From a dawn chorus to hidden orchids, Arthur Ransome to John Constable, and from Anglo-Saxons to naval heritage, there’s even murder, myths and a little bit of magic. A walk with Kite, the Orford Ness sheepdog, her shepherd owner who will explain how they manage the reserve for wildlife. A Night Safari will enter an ancient woodland just after sundown to experience the wood’s nocturnal life and talk to owls! A walk to Eye Airfield will reveal its war time history with a ride back in vintage military vehicles! All walks are ticketed, and all tickets must be purchased in advance. 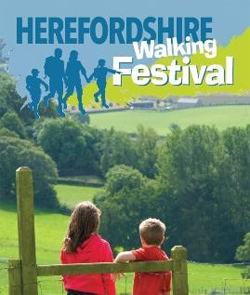 The 21st annual Walking Festival will be held over five days in May, when the countryside is at its best.Â The area is a walker’s paradise, with local footpaths leading over open hilltops, through winding valleys, tiny hamlets, country lanes and sometime the remains of ancient hill forts.Â There are many amazing views. 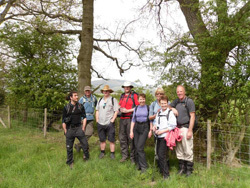 Friendly and relaxed, the guided walks are led by experienced local volunteers. Evening events round-off the day’s walking. Bishop’s Castle is a friendly and welcoming market town which is interesting to explore with two breweries, six pubs and a range of independent shops. This annual 3-day event offers a choice of at least 5 walks every day, with something to suit everyone. You can choose walks of varying length and difficulty from strenuous full day walks on the Cotswold Way to half-day walks, short, level health walks, an evening walk, and a historic town walk. Since the first festival in 2010, the event has grown in popularity, attracting walkers from all over the country and some from abroad. 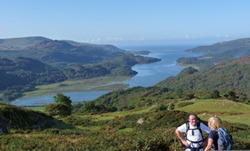 The walks are led by experienced leaders with a good knowledge of the local area. Winchcombe is set in the heart of the beautiful Cotswolds. It has a timeless quality about it which makes it an attractive centre for walkers. The town has "Walkers are Welcome" status which means it will endeavour to make your stay and experience memorable. 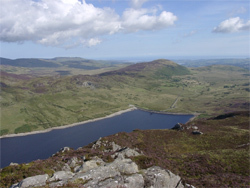 Snowdonia’s premier Walking Festival. We expect to see another packed 3-day event with 7 walks to choose from each day to suit all ages and abilities; thats 150 miles of glorious walking in the Snowdonia National Park. The beauty of Snowdonia National Park provides a dramatic backdrop to a programme of exciting activities for all the family, along with the return of some of your favourite walks. Full details of the walks programme will be available in February. This festival, now in its 15th year, will be again offering 3 days of walking and activities that will provide you with the opportunity to explore, learn more and enjoy the unique surroundings that Prestatyn and Clwydian Range AONB has to offer. The area is a wonderful base for walking enthusiasts. Prestatyn was the first town in Wales to be awarded the ‘Walkers are Welcome’ status, so you are assured a friendly visit. Walks have been planned arranged into four groups according to difficulty, providing walks suitable for all abilities. There will be over 20 walks over the three days and some will reflect the areas coast, exploring sections of the Wales Coast Path. An opportunity to meet like-minded people, discover a fascinating island and have unforgettable days in the safe hands of experienced local leaders.Â With names to inspire the imagination, such as Ceum na Caillich (Witch’s Step) Caisteal Abhail (Castles) and the Sleeping Warrior, the mountains of Arran are some of Scotland’s most amazing landscapes. From wildlife-watching walks along the island’s coastline to airy scrambles on towering granite ridges. Scottish hillwalking at its best! Arran is one of the most accessible of the Scottish islands, with good transport links by ferry, road, rail and air.Â At the end of an exhilarating day in the outdoors, there are plenty of hostels, hotels, cottages and campsites for comfort and relaxation. Arran Mountain Festival is Scotland's premier hillwalking and mountaineering festival. In previous years 20 walks have been planned over the four days of the festival. Booking was open in mid-December. 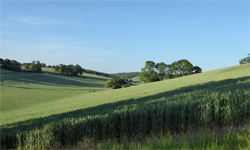 The Lincolnshire Wolds is a great place for walking and to explore this fascinating Area of Outstanding Natural Beauty. 2019 will be the 15th Festival and we expect many walks as in previous years, although no detailed information is yet available. The programme of walks is designed to suit all abilities; whether you haven’t walked for ages or you are a sturdy regular rambler, or you simply need a walk that is pushchair or toddler friendly, there are walks just for you. Stretching over the Lincolnshire Wolds character area with views of the River Humber in the north and The Wash in the south, the Lincolnshire Wolds Walking Festival celebrates the varied terrain of the East Lincolnshire landscape. 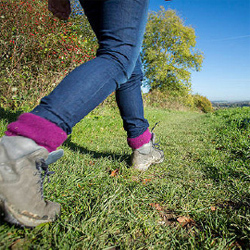 The Chilterns Walking Festival invites people to explore the landscapes and locations of The Chilterns Area of Outstanding Natural Beauty, which covers the countryside from Goring in Oxfordshire to Hitchin in Hertfordshire. The spring festival offers an exciting programme of walks, talks and special events. No details are available at the moment. This year will be the 12th festival and will, as previously, include many walks that range from gentle strolls to strenuous rambles including routes for seasoned walkers as well as pushchairs, wheelchairs and family groups. Every walk is graded for difficulty and guided walks are led by an experienced leader with local knowledge. Health walks are suitable for all ages and those recovering from illness and are also led by a trained volunteer. All the walks within the programme can be found throughout the 200 square miles of forest area across Derbyshire, Staffordshire and Leicestershire. 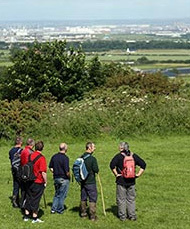 Llanelli Ramblers organise and host the annual Llanelli Festival of Walks which is a Spring Bank Holiday event that has attracted hundreds of visitors to the town since its beginnings in 1995 and has established Llanelli as a popular centre for walking. The 2018 Festival of Walks is open to all, old and young, non-members and members alike. The main theme of the 2018 Llanelli Festival is Welsh legends and the sea. There is a choice of 15 walks to suit all ages and abilities, in areas including Cardiff Bay, Gower, Pembrokeshire and, of course, Carmarthenshire. The Festival ends on Bank Holiday Monday with the ever-popular traditional Welsh tea. This year no fewer than 53 walks are planned. They comprise a mix of day, morning, afternoon and evening walks; varying degrees of difficulty from gentle to strenuous; and a range of themes, from geology to farming, botany and radar. Add to that, the fact that the Malvern Hills are in an Area of Outstanding Natural beauty and it’s not surprising the Festival is so popular. Two full-day, long distance walks: Malvern Hills End to End and Back and the whole 31 miles of the Worcestershire Way in a day. The joy of these walks is that as well as the walking, and the scenery, and the fresh air, transport is included. Dedicated coach transport takes walkers to that day’s starting point each morning and returns to Malvern each evening. Booking will be open from beginning of January and places fill quickly, so book early if you wish to visit this festival. A fantastic range of over 50 guided walks, all led by Gold or Silver Accredited Guides. There are walking tours every morning, afternoon and some evenings. Explore the Island’s most beautiful and intriguing spots. Learn more about its fascinating heritage, local culture, hidden gems and much more. Whether you want to explore the countryside, coastal routes or the charming town centre, you’ll be able to choose from relaxing strolls, challenging rambles and everything in between. Prices start at £6 per person. The festival will be repeated later as the Autumn Walking Festival from14th September to 29th September 2019. The beautiful Angus Glens and surrounding countryside host the 17th anniversary of the Angus Glens Walking Festival this year. As previously we expect about twenty spectacular walks over 4 days, through breath-taking scenery, including open moorland, heather-clad hills, mountains, rivers, corries and crags. Mountain Leaders, Countryside Rangers and Estate Managers with excellent local knowledge, will guide your walks and share their knowledge of local history and wildlife along the way. Popular walks include Jock's Road and Scotland's Oldest Right of Way. You can also enjoy a Munro, try Mount Keen, Broad Cairn, Tom Buidhe, Driesh and Mayar. The festival programme offers a range of options to entice new walkers of all abilities to enjoy outdoor rambling as well as daily heightened challenges for experienced walkers. No detailed walk information is available yet. 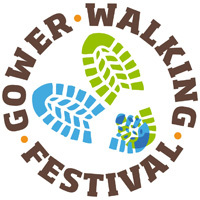 All Gower Walking Festival walks are guided by people who know about and love Gower and who will share their expertise during the walks. In 2018 there were walks about castles, churches, industry. Walks for wheels, for dogs, for poets and photographers. There were easy walks on the Mumbles waterfront, moderate walks to Pwll Du and strenuous walks to cover the four peaks of Gower. The programme this year may be similar. Set in the beautiful Kent Downs Area of Outstanding Natural Beauty, the 14 planned walks range in distance from one to twenty-three miles and include visits to vineyards, exquisite gardens, charming villages, special woodlands, a fun walk for children and the challenging Elham Valley Way. Enjoy the landscape and learn about its history at this weekend festival. Guided by Explore Kent’s Kay Hammond, walk in the footsteps of the famous, discovering, for example, the childhood home of Audrey Hepburn. Amble along peaceful footpaths nestled between hedgerows, woodland and a patchwork of fields revealing the quintessentially Kentish views of this beautiful landscape, then join the festival social event for a drink and refreshments. Corsham is an historic market town on the fringe of the Cotswolds and at the heart of the Corsham Walking Festival, from where walks on ancient paths with beautiful views and rolling countryside begin. The town, with its wandering peacocks, offers a peaceful retreat from nearby Bath and Chippenham. The Festival offers a wide variety of walk themes such as Brunel’s railway, quarry tramways, geology, wildflowers, and a treasure hunt. The walks are led by experienced walk leaders. Brochures should be available from the start of April and on line via the website. From the foothills of the Cairngorms to Moray’s award winning coastline, let the Moray Walking and Outdoor Festival take you on an adventure in 2019. Enjoy long Midsummer days exploring Moray’s world renowned golden coasts, hills and forests full of hidden fauna and flora, whisky coloured rivers and towns with stories to tell and culture to experience. There’s something for everyone; guided walks, talks and events alongside outdoor activities and walking challenges. So, whether it’s a big outdoor challenge or a gentle amble, the Moray Walking and Outdoor Festival welcomes you. The full programme of events is being planned and should soon be complete. The festival is ideal for a short break or longer holiday. Explore great scenery and benefit from the knowledge and experience of local people. This well established festival offers nine days of glorious summer walking. Last year the long distance walk was the The Mortimer Trail which was walked in three sections over three days on the first weekend. 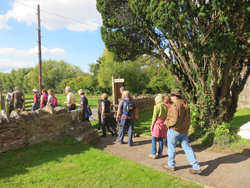 There were also themed walks from historical to farming, poetry to bats, including a 20-miler or a bike ride in the beautiful South Herefordshire countryside. We expect the format this year to be similar. A wide variety of walks for all to enjoy, old favourites & new ideas. What better way to explore the delights of Herefordshire than in the care and comfort of friends? This Walking Festival is an established annual summer event that includes walks for everyone from beginners to the more advanced walker. This year the festival is part of the Cleveland Way 50th Anniversary celebrations. There is a good selection of walks, many of which have been planned with a theme. Walks include: Saltburn Circular, Roseberry Ramble, Kittiwake Walk, Saltburn Beach Nordic walks, Scaling Mill Circular, Mindful Walk, Incredible Insect walk, Nightjar Walk, St Hilda’s Well Circular, Skelton Circular, Cleveland Way and Cleveland Street. To request a booklet, call 01642 496442 / 496428 or email walkingfestival@redcar-cleveland.gov.uk. 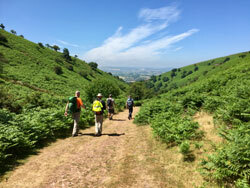 A weekend of guided walks to suit all abilities in and around the Quantock Hills, the West Somerset coast and an opportunity to walk the new Castles and Coast Trail. 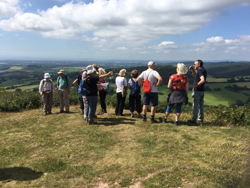 Many of the walks will have a theme, led by local experts including representatives from Somerset Wildlife Trust, The Friends of Coleridge and Friends of Quantock who will be able to share their knowledge of the local area. All walks will start and finish in the village of Nether Stowey, with the opportunity for tea and cake at the end of each walk. The Quantock Hills with its rugged heathland and narrow combes was the first wild area in England to be designated an Area of Outstanding Natural Beauty in 1956. The West Somerset coast has a wealth of wildlife as well as Jurassic fossils to rival those of the South coast. The festival is hosted by Stowey Walking the ‘Walkers are Welcome’ group for the Quantock villages of Nether Stowey and Over Stowey. Come and enjoy a week of inspiring heathland walks on the South Downs. This walking celebration will include a series of free guided walks led by South Downs National Park Rangers and local knowledgeable experts. There will be something for everyone whether you’re a regular rambler or a countryside beginner, with walks that range in length from 1 mile to 15 miles, we’re offering walks for all abilities. A variety of expert led walks, including Ecology, Local Heritage, Conservation, Health walks and even a wildlife dog walk will be showcased throughout the week. To kick start the ‘Walk the Heath Week’, we invite you to join us for our launch event â€“ ‘Navigating Heathlands’ an interactive Talk, Walk and Teach event on Saturday the 18th August. This exciting hands on activity will teach or build on existing knowledge of orienteering, navigation and accurately using a map and compass to plan a walking route on a Heathland site. This festival is now in its fifth year and is becoming the walking event of the year for the South East of England. 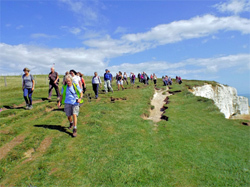 Centred on the historic towns of Dover, Deal and Sandwich, this week long festival, run by the local Ramblers group, features over 40 walks ranging in length from 1 to 32 miles. The event attracts over a thousand happy walkers each year from UK and worldwide visiting this historical area. Walks for all abilities and interests, including family walks, historical walks, wildlife walks, smugglers walk, challenging walks and a three-day trekking walk. 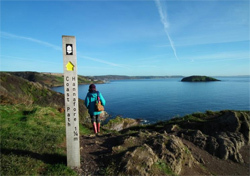 Whatever your walking ability or interest, this event offers walks that will tempt you out to discover beautiful coastal and nearby countryside. Bring the children and join the smugglers walk or immerse yourself walking among the fascinating military fortifications. A few special guided walks cost a modest Â£2. A voluntary contribution is appreciated for all other walks. 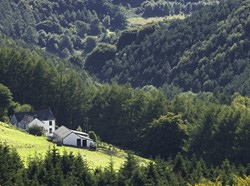 Corwen is a wonderful base for walking enthusiasts and a fantastic venue for a walking festival which offers walks from the town that suit all levels of walking. From walks around Corwen itself, finding out about the history of the town, to a high level ridge walk along the Berwyn reaching over 800 metres in height, the Corwen Walking Festival has it all. There are guided walks on both days and you have the choice of a full day walk or, with some of the shorter walks, doing one in the morning and another in the afternoon. There are also some evening walks and skills lectures, along with evening entertainment in town. Gillingham Walking Festival aims to highlight the beautiful surrounding countryside, rare wildlife and local history, with over 20 walks, from short themed walks to longer rambles and social events. Explore the hidden gems of the town or tours of the local history, industrial heritage, rich wildlife and riverside walks. Enjoy our gently rolling farmland and explore our medieval Royal Forest. Gillingham, Dorset gained accreditation to the national ‘Walkers are Welcome’ Towns network in 2015. If you like walking, then the South Wales Valleys are definitely for you. The festival organisers say they can’t guarantee the weather, but are sure you’ll have a wonderful time with the walk guides; listening to their fascinating facts or simply taking in a stunning view or two. There are currently 16 walks planned and more may be added. All walks have been graded to help you pick the ones that suit your interests and ability. As the walks are through the Valleys’ magnificent countryside they may involve the odd hill or two, so please make sure you wear appropriate clothing and footwear. This well-established festival will again have a selection of walks spread over the month of September. The walks will offer a range for all abilities including short strolls for beginners, historic walks, wildlife and countryside walks, and full day, 18 mile walk. Guildford's attractions and beautiful countryside including the surrey Hills AONB make it an ideal location for walking. Â Guildford has got it all, it is in the most tree-covered county in the UK, and it has historic buildings, fascinating trails, the beautiful river and perhaps the jewel, the town centre with the High Street and Guildhall. 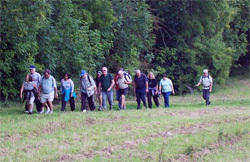 Local groups supply the walks. 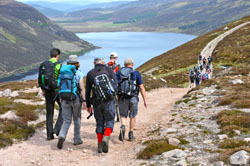 The Scottish Borders Walking Festival is the longest established walking festival in Scotland and on this, the 25th anniversary, it is taking place in Selkirk and the Ettrick and Yarrow Valleys. There will be a full programme of guided countryside walks, special interest free and easy strolls and a varied social events. One social highlight will be the first night musical evening in Selkirk with special guest Cameron McNeish, Scotland’s top writer on the outdoors and presenter of the BBC Adventure show. 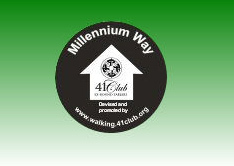 The Millennium Way team from 41 Club, in association with Worcestershire County Council, is organising its first 4-day Walking Festival. This will feature 8 fabulous circular walks through the lovely Worcestershire countryside, one each morning and one each afternoon. You can preview the routes from the Millennium Way website home page (see below). The walks are between 3 and 8 miles in length. There is also a walk specially set up on Sunday afternoon for the less able, which is known as the Easy Access Walk. This is for cross country wheelchairs and those with physical restrictions. 2018 will be the tenth annual festival, now an established fixture in the Bedfordshire calendar. No detailed information is currently available, but usually there are walks for almost every ability level. Short 1-2 mile health Walks, 3-4 mile ambles and special interest walks. Rambler led walks for more serious walkers ranging from 5 to12 miles and for people who like a challenge the Greensand Ridge Challenge two-day hike along the Greensand Ridge has been included in previous years. Bedfordshire may be a small county but has a varied and interesting landscape. The rural north likened by some to the “Wolds”. The wooded and most varied middle with excellent ridge views and the Chalk Hills of the South together with interesting towns and villages plus well marked, and generally a well maintained footpath network makes Bedfordshire ideal for walking. Now in its 8th year the Yorkshire Wolds Walking and Outdoors Festival has grown in reputation, showcasing the wonderful landscape and celebrating the rich heritage of the Yorkshire Wolds. Pick from an exciting range of outdoor pursuits including cycling, special interest and historical walks and trails, horse riding, Nature Safaris, Bushcraft, specialist guided walks, canal and boat trips or even a Buddhist experience plus lots more. 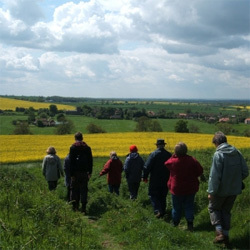 During the festival week, walk the whole of the Yorkshire Wolds Way with expert guides each day. This fabulous festival in the beautiful Yorkshire Wolds offers superb activities that will appeal to families, casual walkers and enthusiasts alike. Once again this wonderful bit of Cornwall is ready to be explored by anybody happy to leave the car and take to the paths and tracks. There should be a walk for you, be it a family walk looking at the history of smuggling in the area or a six mile walk across country through verdant valleys. The organisers have provided a varied and interesting selection of walks in previous years and we would expect a similar programme this year. The festival is the perfect opportunity to explore the wild and wonderful South Pennines landscape, its heather-covered moors, steep-sided valleys, canals, reservoirs and packhorse trails. Spanning the Yorkshire Lancashire border this area has a fascinating history, offering everything from Neolithic stone carvings to world-changing industrial heritage; and many hidden gems. As in previous years there is a wide choice of events including walks, cycling, horse riding and skills activities. 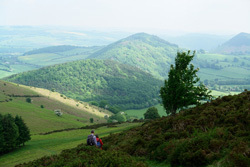 Wellington is a ‘Walkers are Welcome’ town in the Wrekin Forest area of lovely Shropshire. This year the festival is offering 29 walks on a range of themes and distances to offer something of interest to most walkers. Included is the Telford T50 50-mile trail to be completed in six stages over the course of the festival. The walks are free, but in most cases you must book by email. 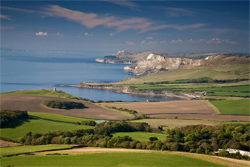 The beautiful Isle of Purbeck is a walker’s paradise. From coast to country, the variety is unsurpassed. 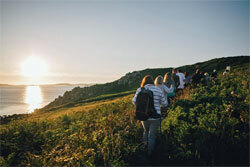 Purbeck offers something for everyone and the walks have been designed to show as much of the area as possible. Some include a pub lunch in a typical Dorset village and others a ride home on the steam train. This established festival is really designed for serious and experienced hill walkers. 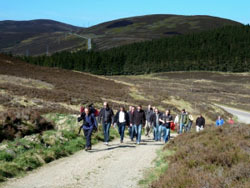 Each walk is linear and the organisers provide minibus transport from the event meeting area in Blairgowrie Wellmeadow. The linear walks make interesting and challenging trips that are not easy to do without multiple car journeys. 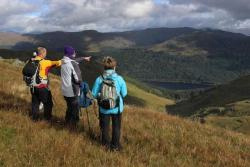 Once again the organisers have managed to find a range of new walks, from an extended high level trek visiting the peaks of Lochnager, to interesting sections of the Cateran Trail.Â From extremely strenuous through to moderate there are walks for most people. All walks are led by qualified guides. The main Crickhowell walking festival is held in March each year, but they are having an ‘Autumn Extra’ event with 13 walks planned over the weekend. As with the spring event the guided walks are of various grades, all led by local experienced guides. There is something for every level of walker, whether you are happy trekking all day across the tops of the Black Mountains and Brecon Beacons or would rather keep to paths and the lower slopes. This Walking Festival is a well-established annual event which takes advantage of the fabulous walks and dramatic landscape accessible from Barmouth, on the west coast of Wales. Taking place in September every year, the festival gives walkers of all abilities the opportunity to enjoy guided walks around the beautiful Mawddach Estuary and Southern Snowdonia. This year the festival has grown a little from previous years and includes 38 walks in four grades of difficulty, so that there is a choice for walkers of all abilities. 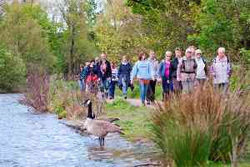 The Autumn Footprints Amber Valley and Erewash Walking Festival offers a range of 42 guided walks over 16 days. 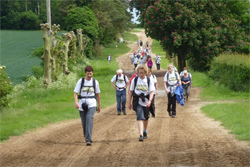 The festival has proved to be very popular with both inexperienced and experienced walkers. The walks, led by volunteers and staff from over 20 organisations, will take place in Amber Valley and Erewash. These two areas are well known for their natural beauty, superb scenery, industrial heritage and attractive towns and villages. All the walks are free of charge, and will take place in areas of local heritage and natural history interest, taking walkers alongside rivers and canals as well as through towns and villages. The walks are of varying lengths and gradient, ranging in length from one mile to ten miles, offering something for everyone no matter what their interests or abilities. 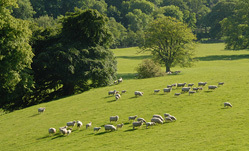 They are all led by knowledgeable local people who are enthusiastic to show off their local patch. 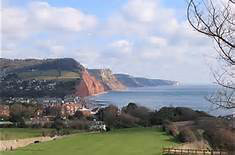 Come along to this festival for a fabulous week of free guided walks and discover the wonderful scenic coastal walking around Sidmouth and the hidden gems of East Devon. Choose from three daily walks, shorter special interest walks led by experts, circular walks through glorious countryside and the spectacular Jurassic coast or the East Devon Way linear walks with coach transport. All walks are free but there is a charge for coach transport on linear walks. 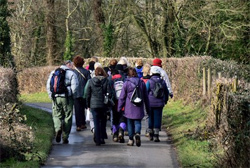 The programme features walks of varying length which take us out into some of the most stunning scenery England has to offer in the Yorkshire Dales and less well visited areas around Richmond.Â There are also shorter town based walks of local interest and a programme of health walks. With at least 3 walks per day to choose from you will be spoilt for choice. There are fifteen varied walks being planned for this festival, now in its tenth year, offering the chance to explore this beautiful area. Some walks include additional activities such as a ride on a steam train, a lunch cruise on the river Wye or a sumptuous farmhouse cream tea. The town of Ross-on-Wye has a splendid setting within the Wye Valley AONB overlooking the River and dominated by the beautiful slender spire of St Mary’s church.Â Ross is an ideal location for walking with plenty of local accessible paths and, used as a base, it is within easy reach of the Malvern Hills, the lower Wye valley, the Forest of Dean and even the Black Mountains of Wales. Following the success of the 2017 festival when over 1,000 walkers enjoyed the delights of the Lincolnshire countryside this year there are on offer 61 walks of various distances and for all abilities. From the Lincoln Edge in the west to the Fenlands of the east South Lincolnshire has an extremely varied landscape that has witnessed Bronze Age burials, Iron Age mints, roman forts, the Knights Templar, castles and abbeys. But the festival isn’t only for history lovers! Whether you want to roam with Ramblers, have an adventure with your kids, get snapping on a photography foray or take your pooch out for a guided ‘walkies’, there’s something for everyone. The walks will take place on Fridays, Saturdays and Sundays. The CowalFest Argyll 2018 Festival is your eight-day passport to walks and events around the beautiful and fascinating Cowal Peninsula. Leave the crowds behind. Enjoy peace and tranquillity amongst lochs, glens and mountains only 90 minutes away from Glasgow. This well established, annual walking and outdoor Festival is one of the largest and most varied in Scotland. Led by experienced and knowledgeable guides, and offering rewarding and interesting walks and events catering for all ages and abilities. In addition, there are walk/talks covering a variety of interests, such as bird watching, heritage, geology, photography, and guided tours of Benmore Botanical Gardens. After one of their most successful years, with 100% of the number of available walk places booked, the Drovers’ Tryst is pleased to announce their 18th walking festival. There will be a full programme of 4 walks a day, with some new walks and some old favourites, ranging from easy to extra hard.Â As ever some of these walks will be linear walks using minibuses. In addition, there will be a full social programme in the evenings where you can relax, and perhaps learn something new, after a day in the beautiful Perthshire countryside. The walk programme will go live on their website around the middle of March 2019.Â You can also find information on the ‘Drovers’ Tryst Walking Festival’ Facebook page. Discover the hidden treasures of the New Forest National Park this autumn at the New Forest Walking Festival. Walkers of all ages will be led on bespoke experiences by expert guides highlighting the unique countryside, wildlife, culture and history of this internationally-important landscape. The guided walks are accessible by public transport, and most are free for those who travel by bus, train, bicycle or on foot. Free minibuses will also be provided for some walks. The festival will boast dozens of guided walks led by knowledgeable local experts to help you discover more about the history, heritage and wildlife of the Forest. Why not consider visiting a Walking Festival? They provide lots of great opportunities to meet other people who also love walking and to make new friends. You can undertake sponsored walks, learn more about the countryside and flora and fauna, join in social events and informative talks and generally have a good time. Festivals are also a great way to introduce the kids to walking as most have family walks designed for children. Even if you usually walk only as a family unit or by yourself, it's rewarding to occasionally share your walking experience with others who enjoy the countryside. If you are new to country walking, unsure about where to go, or need an incentive to get your boots on, then a Festival might be just the answer to get you started. Festivals are listed chronologically. or you can click on a link below to go to a specific festival.